Why Should A Realtor Represent Buyers OF New Construction? Why is it so critical to use a Realtor to represent you as a Buyer’s Agent on the purchase of new construction? The National Association of Realtors (NAR) has indicated that new construction increased in 2012 and will only continue to increase in 2013. So as a buyer, what is the process and how are you represented in the purchase of new construction? a seller’s agent, a dual agent and a transactional licensee. 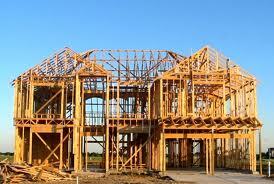 In the case of new construction, the builder is represented by a seller’s agent. They only represent the builder and do not represent the buyer as clearly defined in the Consumer Notice. My recommendation is that anyone who is considering buying or even looking at new construction strongly consider employing the services of a buyer’s agent, who is typically “free” to buyers! You should do this prior to your first visit to a any new construction site and your Realtor® should also accompany you. price for the property including options, lot premiums, and overall price. I review all contract verbiage to insure that there is no “hidden verbiage” and insure where applicable that some be added where warranted. Keep in mind most new construction contracts are written by attorneys who represent the builder and these contracts are therefore heavily weighted in favor of the builder. until after construction and some are critical which may not able to be done at a later time. All this helps the buyer make an informed and confident decision. recommend a final inspection as any new home purchase is a huge investment. Assist the buyer in attaining financing and a review of the financing paperwork, settlement charges on the HUD1 settlement sheet. I also help the buyer to select a title company with various options. A buyers agent can assist the in directing you to the appropriate Township to look at plans regarding easement restrictions and future development surrounding the area. This is critical because you may want to put in an in-ground pool on a lot that will be restricted by the township or you may own wooded areas where you may never be able to thin out the trees to expand your yard. Builders are required to disclose plot plans, easements and other disclosures but it is always best to have a Realtor represent you to review all of these documents as you are executing the contract or better yet, prior to execution. Attend a pre-settlement walk-through to help determine a punch list and the give a second opinion for any obvious defects. My objective as a buyer’s agent for new construction or resale is to help the buyers make informed decisions during every step of the process. Again, I strongly encourage all buyers to consider using a Realtor® to represent them when purchasing a newly constructed home. Most if not all builders rely on Realtors to help to sell their inventory. It is our responsibility as a "Buyers Agent" to get you the best possible deal and represent you every step of the way! Great article, Frank. It is so important for buyers to know that the New Construction Sales Agent is working for the Builder and has the Builders best interest and profit foremost in mind. It's their job and responsibility! Great information. All buyers need to have representation on their side and a buyers agent does that. The seller picks up the cost so this is a must for every buyer! Frank, love that you put this information out there for buyer's of new construction. In the same way a buyer would seek out a reputable Buyer's Agent for a resale home, they should most definitely use one for new construction as well. Many buyer's of new construction don't realize that a Buyer's Agent can negotiate with the builder on their behalf to get them the best deal or options they want, and this representation is, in most normal circumstances, is FREE!! It will always work to your advantage to use a REALTOR in every one of your real estate transactions to make sure your best interests are protected. Very informative, Frank. I don't think that most buyers of new construction realize that the agents handling the transaction work for the builder and are looking out for the builder's best interests, not the best interests of the buyers. It's always best to have someone on your side. Also, great suggestion on the inspection before they put up the drywall. Frank - very informative artcile. Imperative buyer's know who is on their side when purchasing new construction. Thanks Carl & Dan for your comments! The Absent Game Involving me and my husband we've owned adionidtal MP3 gamers through the years than I can count, together with Sansas, iRivers, iPods (traditional & touch), the Ibiza Rhapsody, etc. But, the last few years I've settled down to one line of gamers . Frank is the BEST real estate agent I've ever met and would highly recommend him for all Bucks County Sales. Not only did he assist us throughout the sales process but was also there to assist us through inspection and any other issues that arose through the process. Frank is honest, caring and the consummate professional for the sale of your home. He is a wealth of knowledge and has numerous contacts at his disposal for any repairs that may be necessary, he even hooked us up for snow removal since we had already moved out of the home due to a transfer. Don't call anyone else, call Frank to sell or purchase a home.